We regret to inform members that Dennis Mundy passed away at his home on the evening of 15th February 2012. Dennis was a Life Member of the OCC. The funeral service will take place at Harescombe Church at 11:15am on Tuesday 28th February at 11.15am, followed by a family-only cremation service. We regret to inform members that Bob Cryer has passed away peacefully at his Gloucester home, Bob was 92 years old. Bob’s funeral will be at St. Paul’s Church, Stroud Road, Gloucester starting at 13:45hrs on Monday, 17th October, 2011, follwed by a reception at Gloucester Bowling Club. No flowers, donations in lieu to the Arthritis Trust. We regret to inform members that Warren Barrett (1947-55) passed away on the 21st April 2011 in hospital in Guernsey. An obituary will be published in ‘The Cryptian’ in late June 2011. Howard Allen regrets to inform members that his dear brother-in-law, Hugh Roe, passed away on 14th April. Hugh had been in Intensive Care in the Clementine Chuchill Hospital near Harrow for 9 days, he had acute pneumonia. Hugh’s funeral service will be at St. Francis Church in Ascot starting at noon on Weds., 4th May. This will be followed by a family-only cremation. Friends and OCs are invited to attend the reception which will be held at Wentworth Golf Club from 14:45 to 17:00. 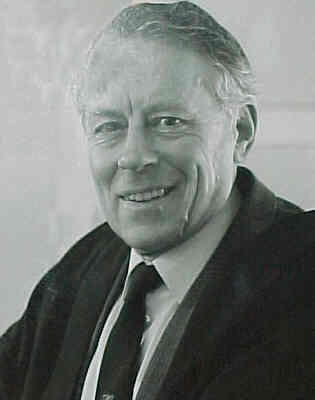 A tribute to Gordon, who died aged 89 on 9th December 2009, will be published in The Cryptian in July 2010. Victor “Bill” Bray MBE (1926-32) died, aged 95 years, on 10th February 2010. The Cremation will be held at Gloucester Crematorium at 1pm followed by a Service of Thanksgiving for Bill’s life at St Mary’s Church, Painswick at 2pm on Monday 22nd February 2010. Flowers or donations to the British Legion if preferred can be sent to the Funeral Directors, Philip Ford & Son, Dirleton House, Cainscross Road, Stroud (01453 763592) to whom enquiries can be addressed. A tribute to Bill Bray will be published in ‘The Cryptian’ in July 2010. The sad news of these deaths earlier this year have been passed to the Old Cryptians’ Club. Tributes to both will be published in ‘The Cryptian’ magazine in July 2010. Died on January 17th 2009 in Princess Royal Hospital, Haywards Heath, aged 91. Peter Parry (1944 – 48) died on 23rd October, aged 75. Anthony Ault (1943-45) died on 28th October 2008, aged 80. Ken Hodgman (1941-48) died on 31st October 2008, aged 78. Michael Rose (1944-51) died on 3rd November 2008, aged 76.